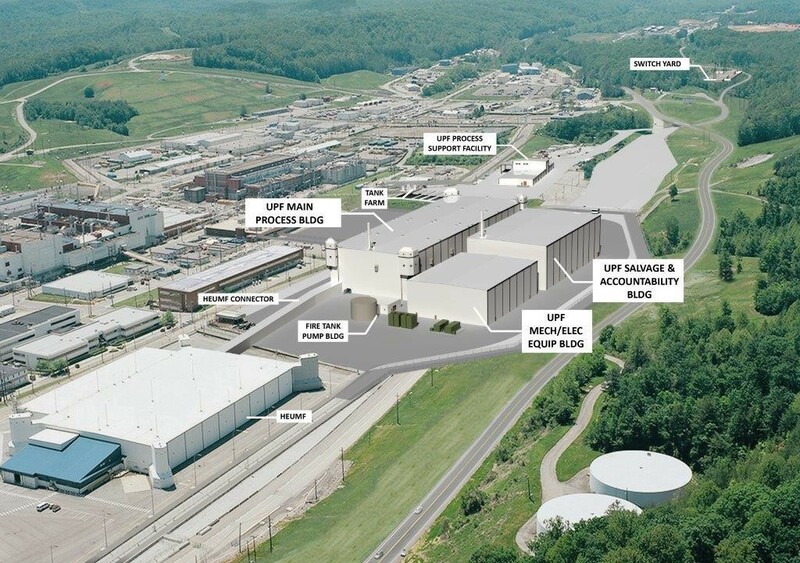 The future of the uranium mission at the Y-12 nuclear weapons plant depends partly on extending of life of two production facilities — Beta-2E and Building 9215 — that are already 46 and 59 years old respectively. The strategy will require innovative ways to rebuild electrical systems and others parts of the plant’s aged infrastructure, as well as a pervasive focus on worker safety and a steady stream of federal funding for the next 20 years. This entry was posted in Bechtel, CNS, NNSA, nuclear, UPF, uranium, Y-12 on June 9, 2016 by Frank Munger. 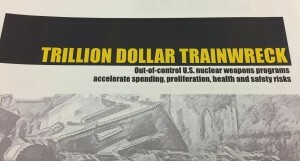 In the NNSA’s 2015 evaluation of Consolidated Nuclear Security, the managing contractor at the Y-12 and Pantex plants is rated on six “performance objectives” — 1. manage the nuclear weapons mission; 2. reduce global nuclear security threats mission; 3. DOE and Strategic Partnership Project mission objectives; 4. science, technology and engineering; 5. operations and infrastructure; and 6. leadership. Overall, the contractor’s score was 57 out of 100, and CNS got some of its lowest scores on performance areas that carry the most weight on fees, such as a “satisfactory” rating on managing the nuclear weapons mission (35 percent of the at-risk fee). This entry was posted in Bechtel, CNS, NNSA, nuclear, Pantex, Y-12 on May 15, 2016 by Frank Munger. A little crowded at UPF? As noted before, the folks at the Uranium Processing Facility have been a little secretive about work on the multi-billion-dollar government project. 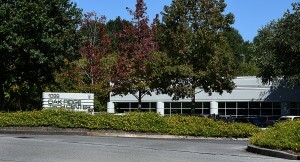 Among other things, they’ve declined to release information on the cost of office space being leased in Commerce Park for the design and engineering activities. The project activities were consolidated there over the past six months. In 2013, the project team indicated the cost of leased facilities was about $2.2 million annually, but the team is bigger now — reportedly more than 900 people. This entry was posted in Bechtel, CNS, UPF, uranium, Y-12 on May 14, 2016 by Frank Munger. A Community Safety Forum will be held Wednesday morning at the American Museum of Science and Energy, beginning at 8 a.m. The two-hour forum is sponsored by the Oak Ridge Business Safety Partnership, a coalition of government agencies, contractors, labor unions and other parties in the community. This entry was posted in AMSE, ATLC, Bechtel, CNS, ORNL, Small businesses, Y-12 on May 9, 2016 by Frank Munger. 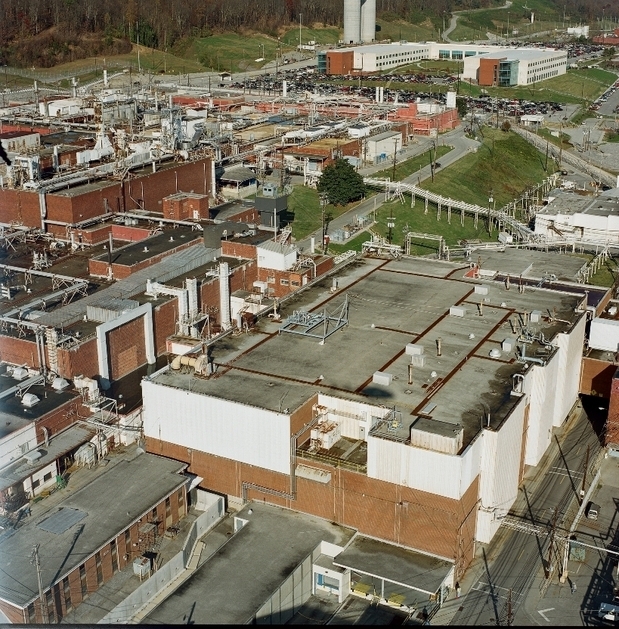 Kevin Jones, operations manager at the Spallation Neutron Source, was pretty excited about the U.S. deal with Iran that will provide a plentiful supply of heavy water for SNS. 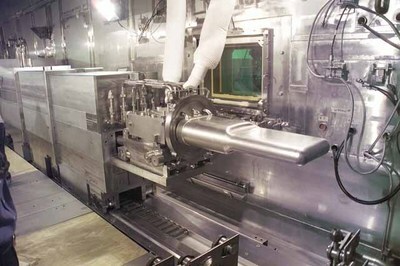 The use of heavy water in the SNS cooling systems is expected to increase the concentration of neutrons for research by 10 to 20 percent, which is a big deal. This entry was posted in Bechtel, DOE HQ, lithium, Y-12 on April 25, 2016 by Frank Munger. This entry was posted in Bechtel, DOE HQ, EPA, Oak Ridge EM, OREPA on April 18, 2016 by Frank Munger. Excavation activities at the future site of the Uranium Processing Facility have uncovered another radioactive remnant of earlier operations at the Y-12 nuclear weapons plant. A 4-foot-by-4-foot piece of radioactive metal was unearthed on March 9, according to a quarterly occurrence report filed last week by Consolidated Nuclear Security, the government’s managing contractor at Y-12. This entry was posted in Bechtel, CNS, NNSA, nuclear, UPF, Y-12 on April 12, 2016 by Frank Munger. 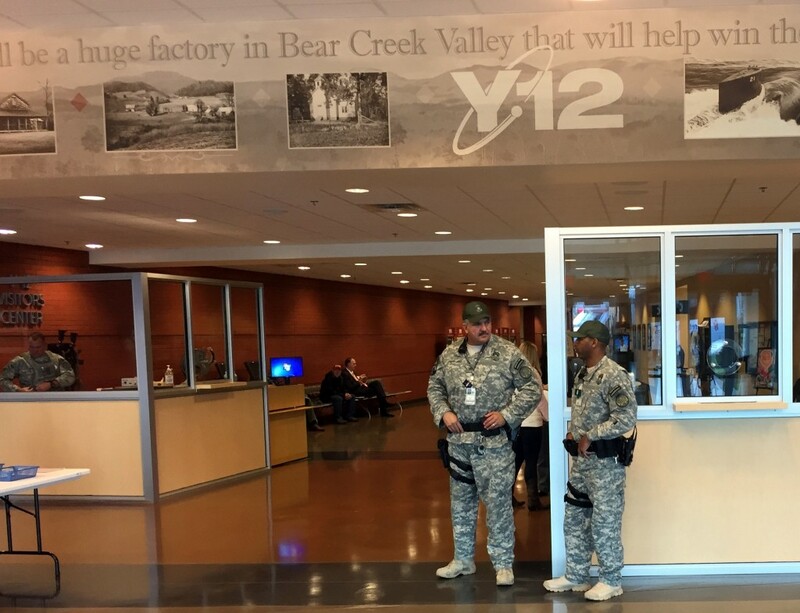 The government’s managing contractor at the Y-12 nuclear weapons plant, which houses the nation’s primary stockpile of bomb-grade uranium, is shopping around for new body armor for its security guards. This entry was posted in Bechtel, CNS, NNSA, security, uranium, Y-12 on April 11, 2016 by Frank Munger. A late-January incident that destroyed a storm drain at the Y-12 site being prepared for construction of the Uranium Processing Facility delayed some work for more than a month, a federal spokesman confirmed Wednesday. 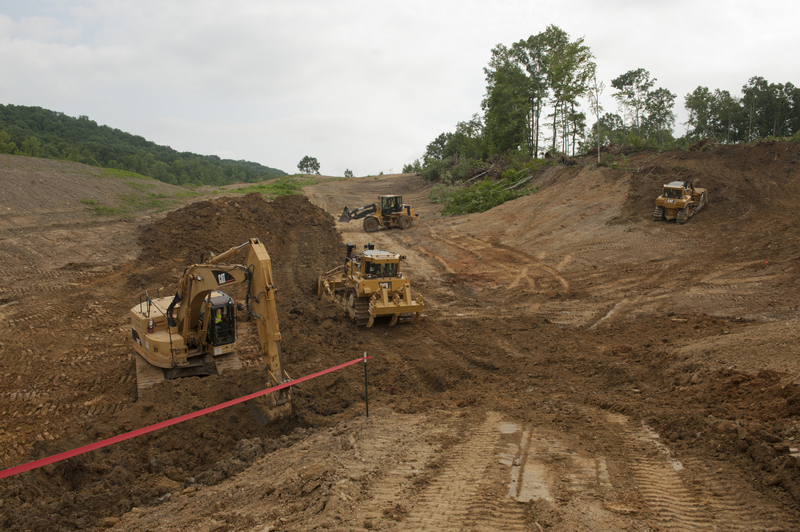 The work was being performed by Emerald/A&H Joint Venture under a subcontract with the U.S. Army Corps of Engineers, which is supervising the site prep under an agreement with the National Nuclear Security Administration. This entry was posted in Bechtel, CNS, NNSA, nuclear, UPF, Y-12 on March 30, 2016 by Frank Munger. According to a newly released report from the Defense Nuclear Facilities Safety Board, a contractor on the Uranium Processing Facility project inadvertently “demolished” an active 36-inch storm drain while installing a new 48-inch storm drain line to prepare for construction of the multibillion-dollar production complex. The accident occurred in late January during work by the project’s excavation contractor under the supervision of the U.S. Army Corps of Engineers. The Corps is managing some of the UPF site work under an inter-agency agreement with the National Nuclear Security Administration. In early February, the Corps of Engineers informed Bechtel National, CNS and the UPF Project Office of the error, the Feb. 29 report by DNFSB staff stated. This entry was posted in Bechtel, CNS, UPF, uranium, Y-12 on March 28, 2016 by Frank Munger. 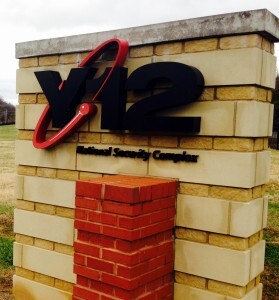 In a message to employees late last year that revealed Consolidated Nuclear Security’s first performance score, then-CNS President Jim Haynes noted that the evaluation did not include a review of the Uranium Processing Facility at Y-12. That was to be analyzed separately, he said. 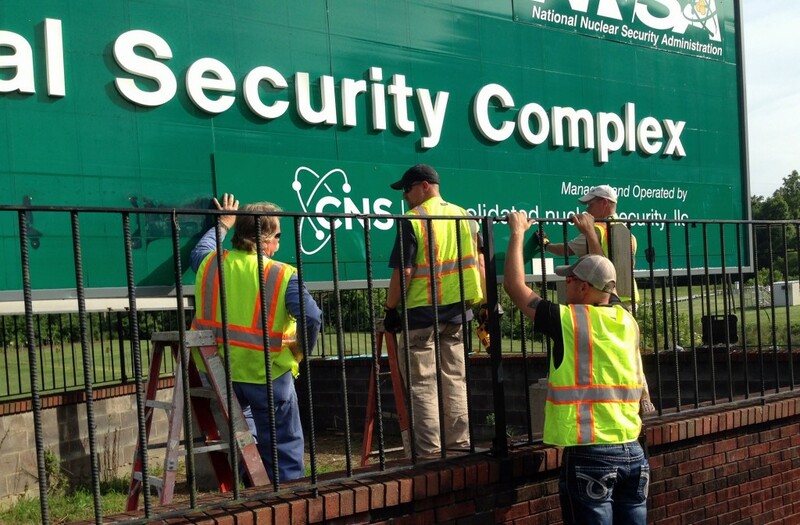 It was later learned that CNS earned $42.6 million in fees for the first 15 months on the job. Again, that figure apparently didn’t include fees for the work on the UPF. This entry was posted in Bechtel, CNS, NNSA, nuclear, UPF, uranium, Y-12 on March 17, 2016 by Frank Munger.